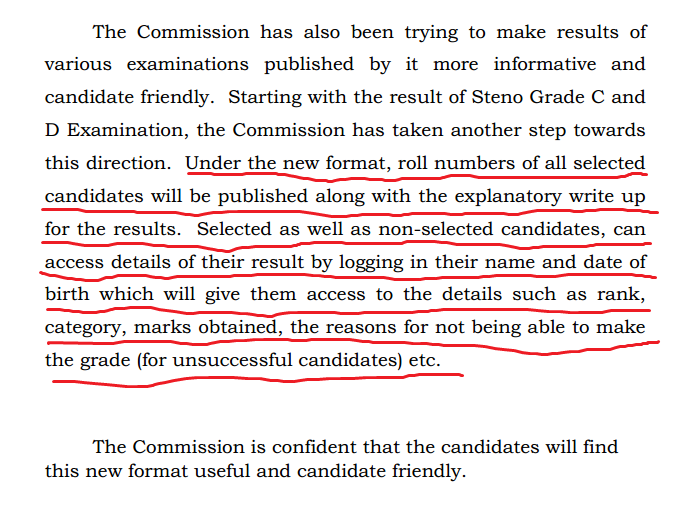 Hello Readers, as per the new notice of SSC about the upgradation process, it will only publish the roll Number of Selected Candidates. However, all candidates(selected and non-selected) can still check their marks by logging into SSC portal through their Name and Date of Birth. It will give them access to the details such as rank, category, marks obtained , the reason for failure etc. It means, no one else can see your result any more. As informed earlier, this is a part of up-gradation process. See below given notice and share your views via comments.